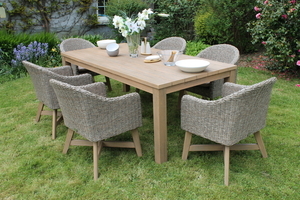 The Aran dining set is stylish and modern but will fit in with any outdoor setting. 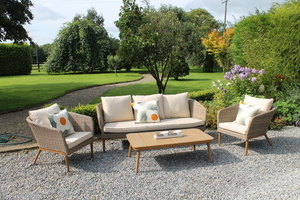 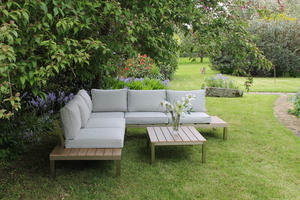 The table is a generous size and the chairs are extremely comfortable with piped cushions. 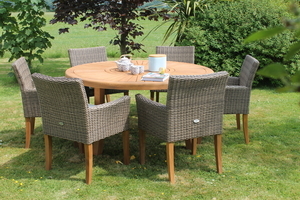 The hardwood table and rattan chairs are highly weather resistant and will keep on giving years of enjoyment for all outdoor dining occasions.